Well I got slightly bored, and thought I’d dig into some old crypto software. And PGP 1.0 was as good as any place to start. Now one scandalous thing at the time was the inclusion of RSAREF 1.0, the RSA reference library which redistribution required a license that wasn’t exactly included with PGP. implementation for educational use only. And wow was this fun at the time. As far as I know this license lapsed on September 21, 2000. After Biham and Zimmermann go their food and sat down, Zimmermann took out a few pages of computer listings. Within minutes, Birham was finding fundamental flaws in Bass-O-Matic. Some of the flaws were subtle-weaknesses that made the algorithm susceptible to differential cryptanalysis, which was Birham’s speciality. Others were more embarrassing, like a conceptual error in Zimmermann’s algorithm that prevented the last bit of each byte from being properly encrypted. After ten minutes of Birham’s onslaught, Zimmermann realized that Bass-O-Matic was a lost cause. So now you would be wondering, why would I even bother with what was a quickly abandoned encryption? Well I was bored, and I was more interested if I could locate the source to 1.0. What would be more interesting to me is to revive it onto somewhat more modern 32-bit platforms. 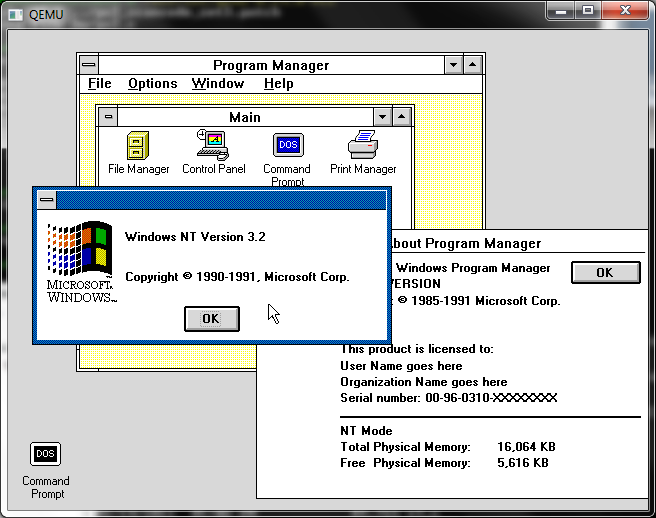 Namely OS X, Win32 and MS-DOS. However building on OS X was trival with changing the Makefile. The CC had to be changed to reflect a 32bit build, and the DEFINES had to remove the HIGHFIRST define, as the x86 platform is little endian. And even better it’ll work! Pretty Good Privacy 1.0 – RSA public key cryptography for the masses. File has signature. Public key is required to check signature. File ‘pgp.ctx’ has signature, but with no text. Text is assumed to be in file ‘pgp.exe’. Good signature from user “Zimmermann, Philip R. – [email protected]”. Signature and text are separate. No output file produced. 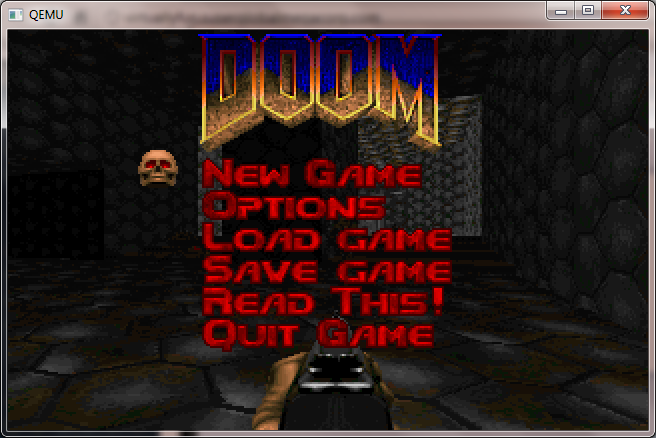 Now getting this to run on Windows was a little bit more of a challenge. I was going to build from the UNIX source code again, however both Visual C++, and Watcom C++ build an executable, but neither are able to add keys to the keyring, verify the executable reliably and deadlock all the time. 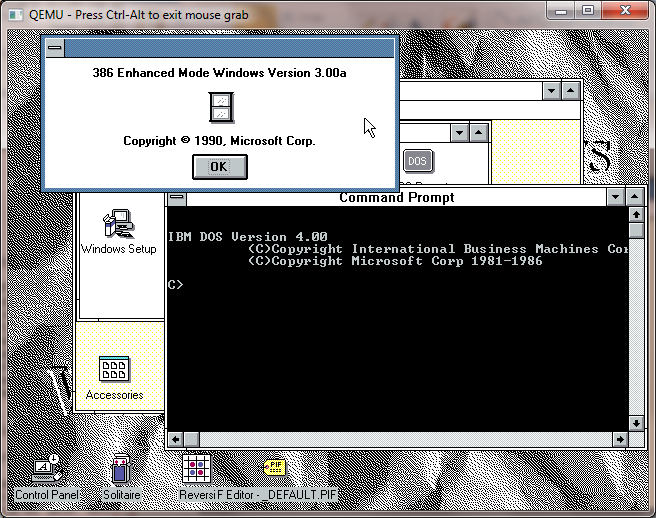 So I thought I’d get a little creative and start replacing some code from the MS-DOS version of PGP. It turns out that all I needed was rsaio.c & rsaio.h and I was able to build an executable.  But I ran into other snags, and stack errors. A glance at the MS-DOS Makefile, and I saw that they had to up the stack size from the defaults. So I figured the same would hold true, and I picked a much larger 32kb stack for the heck of it. I mean it is 2014, and if you can’t handle a 32kb stack well..
And now I can build for either compiler. And even better, it works! So what happened to PGP? Well version 2 used a more ‘acceptable’ encryption, the IDEA cypher, then the company was sold, IP was sold again and again. It’s still out there, mostly for email encryption. While it sure did ignite the world on fire for a while, the overall difficulty of using it, combined with the ease of losing the private key and all your data is just too easy. But this really is the nature of the beast. Good news, as mentioned here, the Shoebill emulator was recently given some much needed SDL love, and ported to Linux. Well that’s great and all, but the vast majority of people who run anything these days do it with Windows. So I decided to try to get it to compile with MinGW to see how far I could get. And the short version is that I got it working! The long version is that in the first pass there is some SIGUSR2 stuff that is undefined. And for a good reason, since it won’t work. So I just commented them out. The next minor problem was the lack of bzero. Honestly I don’t know why bzero is missing from MinGW, but who knows why. Shoebill also processes some internal macros with a perl script that for some reason was dropping in binary values into the source, making GCC mad. I just commented out a line that was adding in more comments into the header. This let me compile with a simple pass. There was some issues reading the ROM file, since the 68000 is a BIG ENDIAN processor, and the 8086 is LITTLE ENDIAN, Shoebill makes extensive use of hotns and hotnl, ntohl, and ntohll. These can be found in the winsock library, and even better they dont need any winsock initialization, they work right away. I just have to make sure I include winsock2.h, and link against the winsock library. However when trying to boot, the checksum was 0x00000000, not the expected value! Luckily there was an assert to catch that and crash. This led me to notice that in Linux files are opened in binary mode by default, while on Windows, they are opened in ASCII mode. 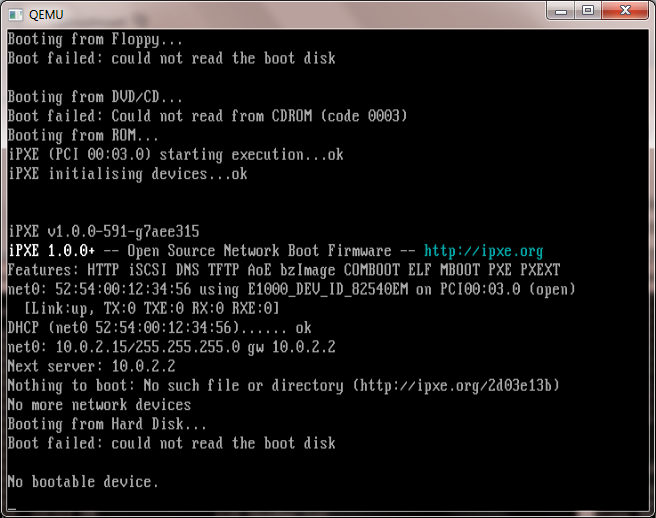 A quick change of all the fopen calls, and I was reading the ROM, but now crashing on the disk. As it turns out newer versions of GCC go all crazy when it comes to structs, and try to automatically align to boundaries for quick access. Which sound nice, until you try to read in some binary data, and expect things to be in certain locations and find out that your structure is larger than expected, and data is read in the wrong place. And now MinGW’s GCC will build something along the lines of what it’d build on Linux. Putting it all together, I amazingly got this! Phew! So for those interested, here is the source code drop(Use the updated one here! ), and here is the binary. If you ever wanted to see the “OS X” of the 1980’s, now is your chance! 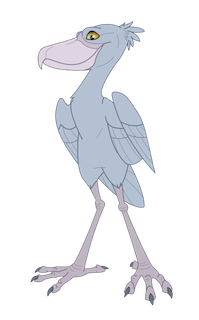 Author neozeedPosted on June 11, 2014 July 31, 2018 Categories A/UX, Apple, gcc, Macintosh, MacOS, mingw, unix, Win329 Comments on Shoebill ported to Windows! I updated my glib2 to the same version that works great on OS X, and it feels like the Win32 binaries are just slower than ever. Now I am running this under VMWare, so maybe that is why it is so slow. Any and all feedback would be nice. And you should be able to run doom with sound. The first major stumbling block on Win32 is glib, and again going back to the MinGW wiki there is a good laundry list of how to bootstrap Glib on MinGW. Be sure to add Python to your path..
Glib is packed with something called ‘xz’ so hopefully you have xzcat .. Otherwise add it! * You may have some weird issue where when running configure it tells you it cannot create executables, or you get a bunch of weird errors trying to paste in the CFLAGS line.. For me the MinGW prompt was stripping the quotes and the leading – to the -O0 (disable optimization) bit. I don’t know what on earth its issue was, but I had to type that line in manually. Then do the make/make install dance. This will take a WHILE. At least with -pipe it’ll run each stage of GCC on multiple processors… But yeah.. This is intense to build. Good thing we get to do it twice. Naturally pkg-config depends on Glib2, and pkg-config to build… Which of course is a circular problem, much like Glib2 requires pkg-config to build. So to configure it, it goes something like this now that we’ve built a Glib2 ..
Anyways with any luck we can now build & install pkg-config. This only takes a few seconds.. In the old days we built zlib, but now we can just quickly add in the package (as we did way above) so we should.. now be ready for the main event! And now we can finally build Qemu 1.1.1-1!!! Next I like to modify hw/pc.c and alter the ISA NE2000, as Qemu doesn’t like to share IRQ 9 with the card, so it is just easier to remove the 0x300/IRQ 9 definition. The next tweak deals with the ability to use older qcow2 disk images… I guess converting them to RAW with an older version of Qemu, then using the new version of Qemu to convert them back into qcow2’s may be a “good idea™” but for now modifying the source is a quicker fix. Now run make again, and it *should* just rebuild coroutine-win32.o with the lesser optimization flags, and relink all the exe’s. If I’ve done this right, you should now have a working Qemu. You can go ahead and strip the binaries if you so please, but that should be it. PHEW. For anyone who wants my build, but doesn’t want to go through this ‘exciting’ process, you can find the Win32 i386 build here. Weird scaling in action .. Control+ALT+u kind of undoes it, but it just doesn’t look right and it is far too slow. In preliminary testing I’ve found this version to be MUCH slower than 0.15.1 .. I think it has something to do with it wanting to scale the SDL window. Also I’ve had issues with various network cards not initializing with the BIOS that ships with this version of Qemu so I’ve included the bios directory from 0.15.1 . And lastly yes the disk images… I’ve had major issues with my qcow2 disks, and disk corruption with this build. 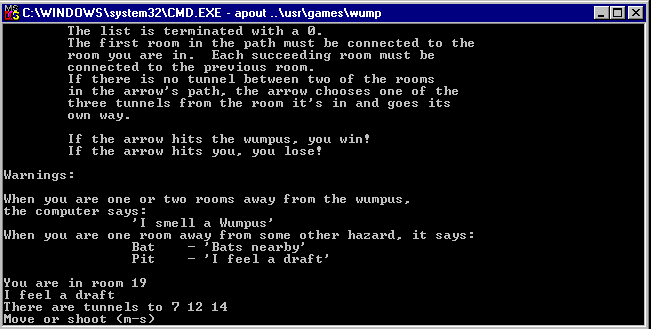 I’ve gone ahead and included the qemu-img tool from 0.15.1 so you can convert qcow2 to raw, then use the 1.1.1 tool to take them from raw back into qcow2 … But I’d probably only do it as a test. Long story short I’m doing some work with a network that suffers a lot of ‘you can’t get there from here’. They’ve given me VPN access and yet even the VPN cannot get to a lot of stuff. The solution for them is to use this old server and ssh out from there to the rest of everything. Which for the most part works fine, but if more then 2 people need to leapfrog suddenly you are waiting in line, or constantly knocking people off. So I figured I’d do something different, install a QEMU virtual machine on the server during my allotted hour, and then launch it as a service so that I could leap in/out through the VM leaving the console free. While I am going to add Qemu as a service, it is still somewhat stealthy as I don’t need device drivers, and I can run it nested as I know this machine is slated to be migrated to VMWare ESX. And the best part of that is that it’ll continue to run. So how do we set this kind of thing up? The first thing you’ll need is srvany.exe instsrv.exe which both can be found in the Windows 2003 resource kit. There we add a new key “Parameters”. Then add an ASCII key of “Application” then just paste in the all of the qemu flags as mentioned above (or changed as needed by you). Then you can simply start/stop the thing using the net start/net stop. I suppose this is a little subversive (lol) but sometimes you’ve got work to do and the best way through it to piggyback on someone else’s computer. Also I really fail to see the ‘wisdom’ in creating ACLs that only permit you to access your routers/switches from your desktop when you could easily *NOT* be in the office. Or this guy just likes the excuse of not being able to work from home. Anyways not to ramble but that’s how I ‘fixed’ the issue without ruffling too many feathers.